Don’t Miss the 2019 Cantech Investment Conference! The sixth annual Cantech Investment Conference will be held in Toronto from January 29 to 30 at the Metro Toronto Convention Center. Canadian tech investors, it’s that time of year again: the annual Cantech Investment Conference will be in Toronto from January 29 to 30, 2019 at the Metro Toronto Convention Center. 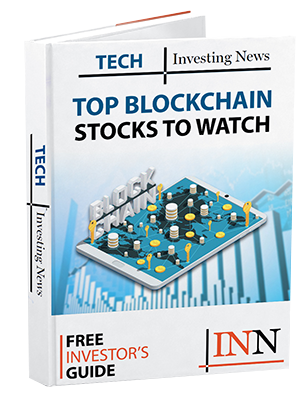 The Cantech Investment Conference will feature more than 100 technology companies that span a wide range of industries, including: blockchain, cleantech, fintech and esports. The show will also have exhibitors in other sectors like biotech and pharma and, of course, cannabis. With Cantech running for two full days for the first time this year, there’s certainly no shortage of activities for investors to absorb during the course of the show. The show, which opens on Tuesday, will see the TSX market open live from the conference floor between 9:15 a.m. and 9:45 a.m. EST. From there, a panel discussion moderated by Nick Waddell called “Canadian Tech Analysts Share Their Top Picks for 2019” will kick off, which investors will surely not want to miss out on. Other notable talks from the day will include more stock picks from fund managers at 10:15 a.m. EST, a cannabis and big data panel discussion at 10:30 a.m. EST, and a discussion on tech companies disrupting the healthcare industry at 2:00 p.m. EST. Mixed throughout the day are numerous company presentations. Another esports panel will be held immediately after, called “eSports and eGaming: Where is the Money?” which will be moderated by Equity Guru’s Chris Parry. Additional talks throughout the last day of the show will focus on biotechnology and cannabis, disbursed with numerous company presentations over the course of the day. If you wish to attend the Cantech Investment Conference, use the code INN30 to get C$30 off your ticket. Get your advance tickets online until January 28 or at the door beginning January 29 for C$100. The Investing News Network team will also be there at booth 709, so don’t forget to stop by and say hello to the team.